You know that hashtags are important for Instagram. You’ve read countless articles about them and probably have an Instagram hashtag analytics tool to track your performance. But when you look at the data, what insights do you take away? Sure, you know which hashtag you use the most—now what? Telling your CMO “our branded hashtag received 1,000 likes” isn’t going to make anyone jump out of their seats. Unless you can connect the dots between Instagram hashtags and some type of success (getting closer to a goal, brand growth, awareness, etc. ), clients and higher ups aren’t going to be amazed. You see, collecting data just for the sake of having it is almost as bad as not collecting it at all. As a company that provides Instagram analytics tools, we know that data is only as useful as you make it. If all you do is glance at your most used hashtags once a week and then move on, you’re doing your brand a huge disservice and missing out on huge opportunities. First, it’s nice to understand why you’re tracking your Instagram hashtags in the first place. If you already know your reasoning, feel free to skip to the next section. But if you’ve been tracking your analytics just because your social media management tool lets you, keep reading. With hashtags being a key component of Instagram, staying on top of what’s working and what’s not could help you attract new followers and reach new audiences. Remember, hashtags allow non-followers to find your content. And if they like what they see, they may decide to hit the follow button. 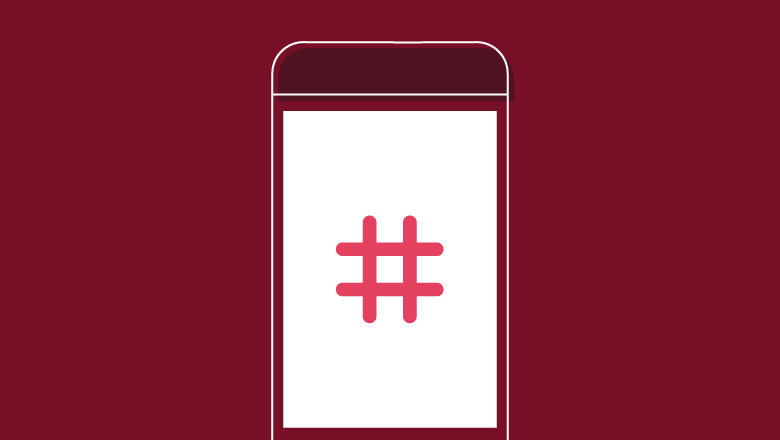 In addition to discoverability, hashtags also give you a way to track your campaigns. Whether you’re promoting a new product, launching a contest or trying to get traffic to a piece of content, a branded hashtag can help you categorize content related to a specific campaign. Then you can monitor the performance of those hashtags using an Instagram hashtag analytics tool. So hashtags are more than just something to add to the end of your caption. They can grow your following and give you deeper insight into your Instagram strategy. If you’re new to the world of hashtags and Instagram, we highly recommend checking out the post below. Now that you have an understanding of why you’re tracking hashtags, let’s take a look at how to make the data valuable and actionable for your brand. One of the biggest benefits of social media in general, is it gives brands a place to grow and foster a community of customers and advocates. Have you ever wondered how big your community really is? The main metric many brands use to measure their audience size is follower count, which makes sense. People opt in to follow you so they must be interested in your brand, right? The problem with relying on follower count is that not all of your followers actively follow your brand. They may have followed you years ago after reading an article from your site, or seeing an ad. But over time, they lost interest so they don’t engage with your page or even look at your posts anymore. Can you really count those accounts as “followers” of your brand? Well, your Instagram hashtag analytics can help you out here. It starts with using branded hashtags. Since branded hashtags are unique to your company, you can make a correlation between how much they’re used and the size of your audience. Of course, it’s not going to give you hard numbers, but it will paint a picture of how active your community is on Instagram. For instance, Bullet Journal has over 200,000 Instagram followers. While that’s an impressive number, what’s even more impressive is the number of posts containing their branded hashtag #bulletjournal. This is a sign that the brand not only has followers, but an active community that’s willing to promote their product and advocate for them. That’s true value that can be obtained through their Instagram hashtag analytics. One of the biggest benefits of tracking Instagram hashtags is they can help you make a connection between online and offline efforts. For instance, if you’re running an in-store promotion where customers have to take a photo at your location and use a branded hashtag, your analytics can measure the success of the campaign. You can check how often the hashtag is used and even correlate the data with audience growth. Email marketing software company Mailchimp combined offline and online marketing earlier this year with its Did You Mean campaign. The campaign played on funny misspellings of the brand’s name and featured a series of very odd commercials. In addition to the online efforts, Mailchimp also placed billboards in select cities and even made physical bags of chips. 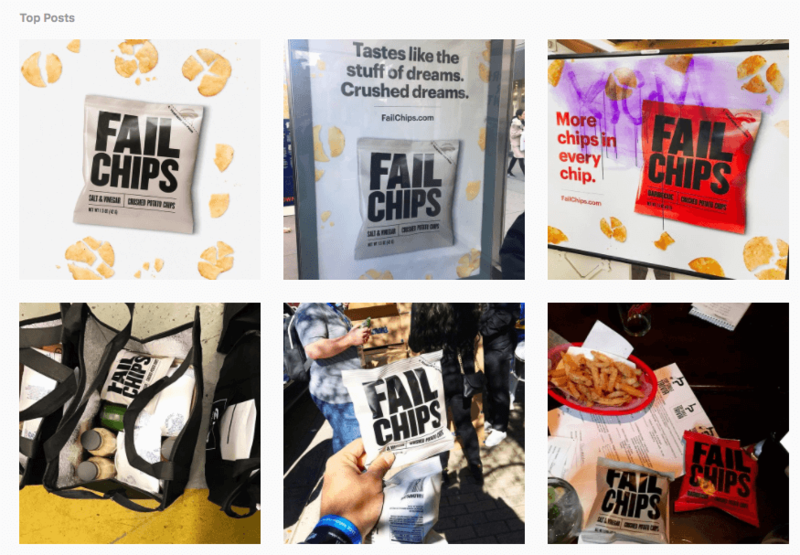 Naturally, people started using the hashtag #failchips when they came across these marketing assets. Using Instagram hashtag analytics, Mailchimp could easily see how popular their offline efforts were by tracking hashtags like #failchips. What Type of Content Should You Create & Share? This is probably one of the most straightforward insights you can get from Instagram hashtag analytics. First, look for your hashtags that get the most engagement. This is easy to find with our hashtag engagement report. Look for common themes among your most engaged hashtags and create more content around those topics. 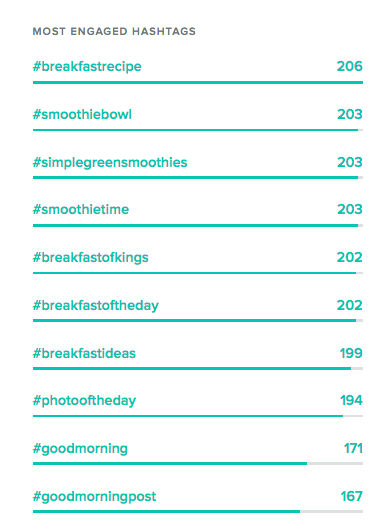 For instance, in this report, we can see a that there’s a lot of engagement around hashtags related to smoothies. This is a great indicator that this brand could share more photos or videos of smoothies and smoothie bowls. This insight could also be used to develop content ideas for their blog or other content outlets. Discovering the type of content your audience wants to see is one of the biggest challenges brands face. Often times it’s a trial and error process until you find what works. But with your Instagram analytics, you can become a bit more strategic by identifying trends in your hashtags to paint a clearer picture of what your audience has an affinity for. Hashtags are one of the absolute best ways to get exposure for your Instagram profile and grow your audience. In a way, they allow you to target who your posts reach based on their interest. For instance, an organic juice retailer could use hashtags like #organic or #naturalfood to get their posts discovered by people likely to be interested in their product. However, simply using relevant hashtags doesn’t guarantee people will come flocking to your page. That’s why monitoring the analytics for your Instagram hashtags is so important. It allows you to find out the hashtags that do and don’t work. It’s about more than looking for hashtags receiving the most searches. You need to identify the hashtags that drive the most awareness and engagement for your brand. Then you start to use those hashtags more frequently and find similar hashtags to add variety. The more strategic you are with your hashtags, the more effective they’ll be for growing your audience. If you’ve gotten to this point and thought to yourself “my current social media analytics tool can’t do any of this,” don’t worry. Depending on what you’re trying to accomplish, your current Instagram analytics tool might not have the capabilities. Also, you may need to use a combination of a few tools to get all the data you need. We’ve hinted at it a few times so far, but our very own software has a suite of Instagram reporting tools, including hashtag performance data. 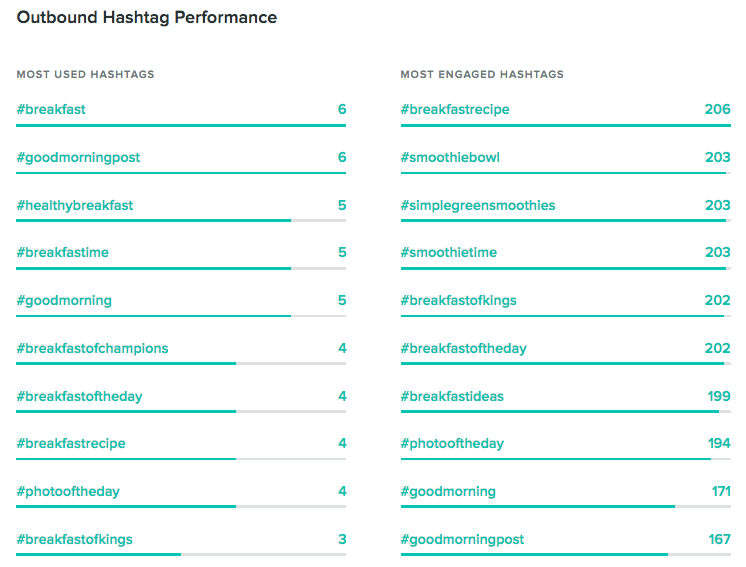 Use Sprout to track which hashtags you’re using most often, as well as which drive the most engagement. Getting data on the hashtags your brand uses is nice. But what about when you’re researching new hashtags or want to see what’s trending? That’s where Keyhole can come in handy. This tool lets you search for any hashtag and get real-time data on how often it’s used, who’s using it and other metrics to help your brand get the most out of Instagram hashtags. 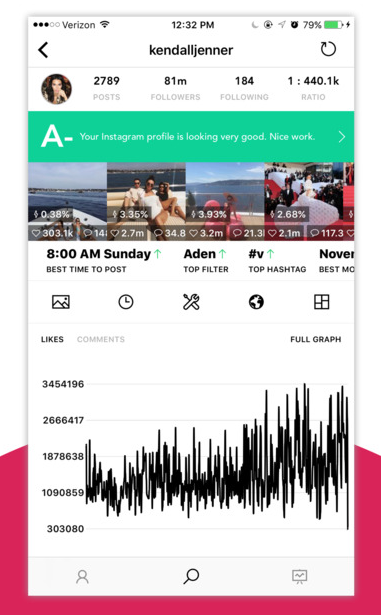 For social media marketers that want access to Instagram analytics on-the-go, Command is worth a look. 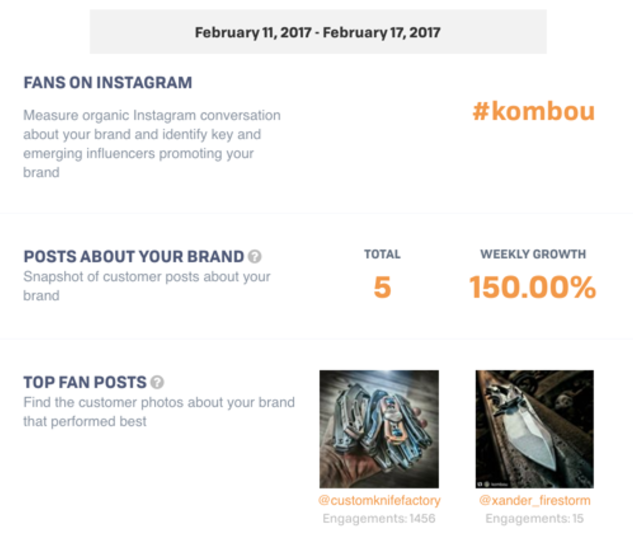 This iOS app gives you a few different hashtag reports your brand can use to turn hashtags into actionable steps for your brand to grow on Instagram. For instance, you can see which influencers use specific hashtags, how much engagement a hashtag gets and more. Iconosquare is a popular Instagram analytics tool with robust hashtag reporting. For instance, you can track growth in hashtag usage, the most influential posts on a specific hashtag and visualize the locations your hashtags are being used on a map. 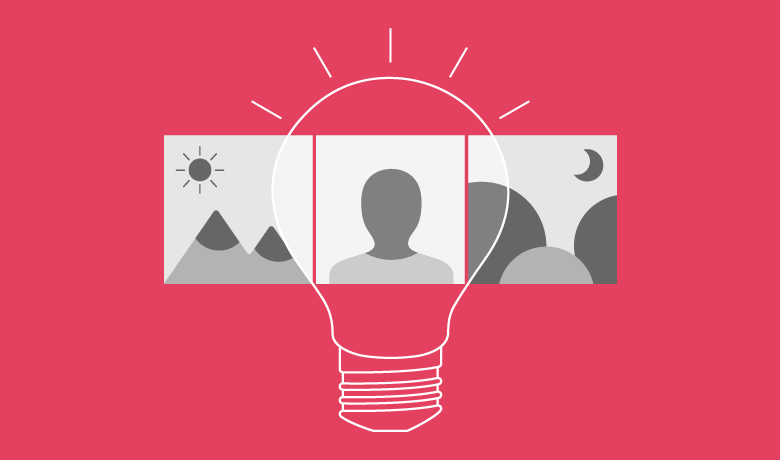 Pixlee is a platform for managing user generated content campaigns. If influencer marketing is a part of your Instagram strategy, Pixlee provides hashtag tracking for your content, as well as content created by the influencers you work with and your community. This makes it a great solution for tracking hashtags related to a specific campaign, or during a set period of time. Hashtags are extremely valuable for Instagram marketing, so tracking and analyzing your efforts is vital. However, the most important step is to put your Instagram hashtag analytics to use. Use the tips and tools from this article to go beyond measuring, and start taking action on your hashtag data.